Question for any techies, recently my computer has stopped working correctly. Let me explain, anytime my computer has my GTX 1070 installed inside of it, my computer simply refuses to start. When I take my GPU out everything works fine and works perfectly. I have tried everything I could think from buying a brand new PSU, GPU, and MOBA to reinstalling windows 10. I am at a loss I have replaced every part in my PC besides my CPU and hard drives at this point. It is Windows 10 Z170 gaming pro carbon MOBA OS installed multiple times in the last month most recent is a week ago. Do you have the PCIe power cables plugged in to the graphics card? Do you have the display cable plugged in to the back of the card and not the motherboard? Everything was plugged in, and when the GPU was installed I had the display cable plugged into the GPU not the MOBA. Here is a pic of the inside with no GPU when the GPU is installed my windows loads and then just stalls and never works on the MSI loading screen, I will get the loading circle but it freezes and never boots. 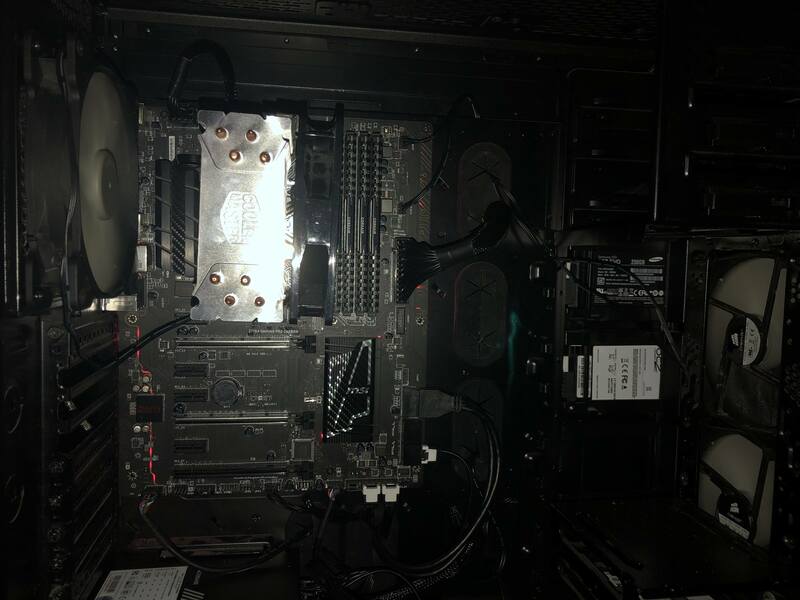 I take the GPU out and there is no problem starting up. This lead me to believe that it was my GPU, I have tried 3 different cards and all of them have the same problem. Remove graphics card, use DDU to uninstall the display drivers and choose the "remove and shut down for installing new card" option and then install the 1070 and see if it will boot in to windows. If that doesn't work try one of the other PCIe slots on the board. Should I download Geforce experience first or get the 1070 driver off the site first? Update: I uninstalled all my graphics drivers and after doing that my GPU was usable. I could get to my desktop so doing that I decided to try and download updated drivers then it all went to crap again. I got an error code that bad_system_config. No idea what is causing that to only happen when I have reinstalled windows multiple times from the windows 10 create your own flash drive windows thingy.